MILAN (Bloomberg) -- Fiat S.p.A. raised its 2010 forecasts after quarterly profit beat analysts' estimates on sales of Iveco trucks and Case New Holland tractors. Full-year earnings before interest, taxes and one-time items will be at least 2 billion euros ($2.8 billion), compared with a previous target for as much as 1.2 billion euros, Fiat said today in a statement. Third-quarter net income was 170 million euros, compared with 21 million euros a year earlier, beating the 42 million-euro average estimate of analysts surveyed by Bloomberg. CEO Sergio Marchionne, who also runs Chrysler Group, is spinning off Fiat's industrial units to focus on reviving carmaking operations. Fiat's earnings before interest, taxes and one-time gains or losses, which Fiat calls trading profit, rose 90 percent to 586 million euros, topping the 409 million-euro average estimate of analysts. The carving out of operations including Iveco and CNH Global NV into Fiat Industrial S.p.A. will give Marchionne two entities to facilitate future alliances. 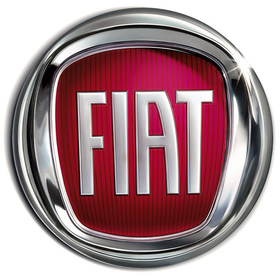 Fiat plans to list Fiat Industrial shares on the Milan exchange Jan. 3. Full-year sales will top 55 billion euros from an earlier forecast of more than 50 billion euros, Fiat said today. Third- quarter revenue climbed 12 percent to 13.5 billion euros. Group sales will probably grow on average 13 percent a year to 93 billion euros in 2014. The new Fiat, without industrial units, will probably have revenue of 64 billion euros by that year, according to the company's business plan presented in April. Fiat Industrial's sales will reach 29 billion euros. Marchionne wants to boost efficiency at Fiat's less productive domestic plants, in exchange for shifting production of its Panda model from Poland to Pomigliano. Fiat plans to invest 20 billion euros through 2014 in Italy to improve plants and vehicle development if unions agree to curb strikes and add shifts. Fiat led a sixth consecutive monthly decline in European car sales in September as demand wanes after government incentives expired, industry figures showed. Deliveries at Fiat in Europe declined 26 percent to 215,000 vehicles in the third quarter, according to ACEA, the European automakers association. Fiat, which acquired a 20 percent stake in Chrysler last year, aims to raise the holding to 35 percent by the end of next year. Marchionne plans to take the automaker public, probably in the second half of 2011, he said last month.